Bathrooms are one of the most frequently used spaces in any home. They host our morning rituals to get ready for a busy day, and are the place we retreat to when we’re ready to end it. Since these spaces are so heavily used, a complete bathroom remodel, using wholesale products from ProSource® of Peoria, is high on the to-do list of any homeowner client. 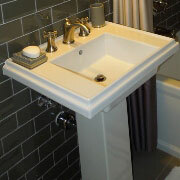 Your client’s sink can enhance the overall appearance of their bathroom. Our showroom has sink options made from luxury materials like steel and marble, with more economic options like porcelain. Mount your client’s new sink above or below the counter, or on one of our striking pedestals. 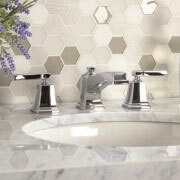 A bathroom faucet is a wonderful way to improve the look and feel of a new sink. At ProSource, you’ll find faucets made from materials like brushed or polished metal and can move water into the sink in engaging ways. Meet with a designer to find a faucet that fits your client’s needs. Putting a new shower into your client’s bathroom is an easy way to increase their enjoyment of the space. They’ll love spending time in a luxurious new shower, crafted from high-end doors, handles, and heads from the ProSource showroom. For even the most crowded of bathrooms, there’s always room for a vanity. It offers valuable storage space, and also acts as a great place to house your client’s new sink and faucet. 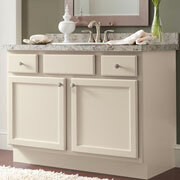 Paired with a new mirror and light fixture, visitors will envy your client’s new vanity. Undoubtedly the most relaxing feature of any bathroom is the bathtub. 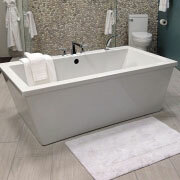 Enhance your client’s experience with a magnificent marble alcove tub, or fit your client’s smaller space with a practical fiberglass model. 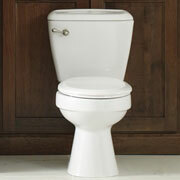 A new toilet will make an immediate impact on your client. They’ll appreciate the updated look and feel of a new toilet, as well as innovative new features like low-flow water use, ensuring that they save money on their next energy bill.